Probably every gamer who enjoyed thrashing the brawn out of buffoons in survival horror video games in old times already knows by now that Resident Evil, one of the most creepy and remarkable survival horror video games, is being remastered with next-gen technology for all the major video game platforms except Nintendo Wii U. Capcom, the developer of the game, broke the news yesterday with some fine screenshots showing the added improvements, and today, the developer has updated Resident Evil HD Remastered’s official website revealing resolution and frame rate of the game across different platforms. Shortly after a rumor report, Capcom announced a remastered version of its already remastered famous 2002’s Nintendo GameCube’s title known as Resident Evil, which is the first game in a well-known horror fiction video game franchise. 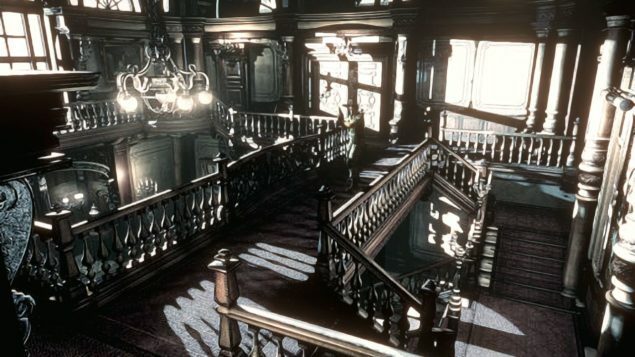 Named as Resident Evil HD Remastered, the game will land on Microsoft Windows, PlayStation 4, PlayStation 3, Xbox One, and Xbox 360 early next year. Giving out an introduction for the game, Capcom stated the fact that the original Resident Evil was released in 1996 on Sony PlayStation and it was the later ported over to other platforms, this game marked the launch of a franchise that has now sold over 61 million video game copies worldwide. The original game was revived completely from scratch in 2002 for Nintendo’s GameCube console, and now that remastered version is again being improved using modern technology for all the major video game consoles except Nintendo Wii U. Today, Capcom updated the official website for Resident Evil HD Remastered and released some new details about the game. According to the details, the game will run at full HD 1080p resolution on both the latest PlayStation 4 and Xbox One consoles, and at 720p on the last-gen PlayStation 3 and Xbox 360 consoles. Mover over, the game will run at 30 frames per second on all platforms. List of new improvements and enhancements was also given on the website, and you can check it out below. Post-processing effects like Bloom filters, which were not easy to do at the time of the original release, have been added to make the HD graphics even more realistic. The original game called this technique “video backgrounds.” We recorded the backgrounds themselves as videos to create realism that couldn’t be rendered in real time with the technology of the time. In widescreen mode, the screen will scroll. The parts of the screen that get cut off on the top and bottom will scroll into view automatically depending on the character’s position (you can switch the display mode during gameplay in real time). You can play using the original control scheme or an alternate control scheme that lets you just push the analog stick to move in the direction you want to go. You can switch the control scheme during gameplay in real time.